Severe thunderstorms with considerable potential for producing damaging wind gusts and a few tornadoes are likely across much of the southern through mid Atlantic Coast region, particularly across the Carolinas into southern/central Virginia this afternoon and evening. Severe Weather Watches (shown on the image below) indicate potential threats from now through the next few hours. View more details on the watches page. Hey, it looks like your location wasn't detected. Drag the marker on the map and we'll show you the severe weather potential for a given location. 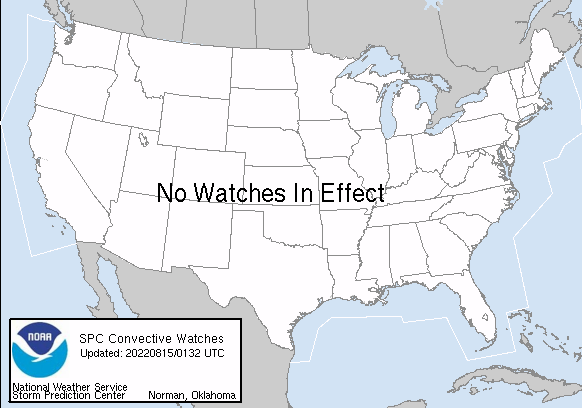 SWO started as a spinoff project of wickedwx, but has since replaced the site.